Just ask for part you interested in and we will list it. We have thousands of car parts !!! Car: Rover 25/200 MG ZR. REAR WHEEL ARCHES. How to recognize car's side ?. Model: Hatchback. Year production: 1995-2005. 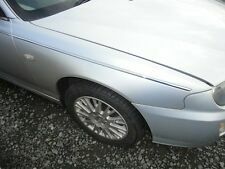 06 Rover 75 - front left wing. Just ask for part you interested in and we will list it. We have thousands of car parts !!! Car: Rover 75 MG ZT. REAR WHEEL ARCHES. How to recognize car's side ?. Model: Saloon Estate. Year production: 1999-2005. Car: Rover 25/200 MG ZR. REAR WHEEL ARCHES. How to recognize car's side ?. new produtcs. Any item sent out by us incorrectly will be resolved within 24 hrs. That's include all bumpers, doors, bonnets, boot lids, wings, etc. Car: Rover 25/200 MG ZR. REAR WHEEL ARCHES. How to recognize car's side ?. new produtcs. Fabric: High quality steel. XPOWER GREY CODE LEF. Rover 75 PASSENGER Side Wing. IN GOOD CONDITION. This sale is for range rover p38 front driver side wing in red. This sale is for range rover p38 front passenger side wing in red. Car: Rover 75 MG ZT. REAR WHEEL ARCH. How to recognize car's side ?. new produtcs. Fabric: High quality steel. New listingROVER P5 / P5B Front wing lower repair panels. One Pair. Here we have a pair of ROVER P5 / P5B FRONT WING Lower repair sections. Car: Rover 75 MG ZT. REAR WHEEL ARCH. How to recognize car's side ?. new produtcs. Range Rover P38 Vouge. general condition is good. Part Number: JK62-. 2018 on Genuine Range Rover Sport L494 Facelift Driver Side Front Wing. My ref: D16. Fits 2018 onwards. Any dinks/dents personally found will be shown on item for you. (Approximate position and size). 2017 on Genuine Range Rover Velar L560 Driver Side Front Wing. My ref: D14. Any dinks/dents personally found will be shown on item for you. (Approximate position and size). UK Mainland Zone 1 -FREE. 2017 on Genuine Range Rover Velar L560 Driver Side Front Wing. My ref: D32. Any dinks/dents personally found will be shown on item for you. (Approximate position and size). UK Mainland Zone 1 -FREE. STARLIGHT SILVER MBB. 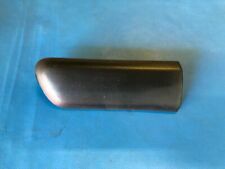 Rover 75 DRIVERS Side Wing. WE HAVE THOUSANDS OF PARTS ON THE SHELF READY FOR DISPATCH. GOOD CONDITION. WEDGWOOD BLUE. Rover 75 DRIVERS Side Wing. WE HAVE THOUSANDS OF PARTS ON THE SHELF READY FOR DISPATCH. IN GOOD CONDITION. HERE WE HAVE A GENUINE USED ROVER P4 FRONT LOWER WING PANEL THAT HAS BEEN REMOVED FROM A GENUINE USED WING. IT IS A SOLID PANEL. IT IS TO SUIT N/S PASSENGER SIDE. HERE WE HAVE A GENUINE USED ROVER P4 FRONT LOWER WING PANEL THAT HAS BEEN REMOVED FROM A GENUINE USED WING. IT IS A SOLID PANEL. THERE IS A BIT OF RUSTING ALONG THE LIP WHERE IT BOLTS TO THE FRONT VALENCE AS PIC 3 SHOWS. ROVER P6 2000/2200/3500 REAR WING, REAR FIXING STUD PLATE (PAIR), FIXES REAR WING TO BODY. NEW GENUINE. Warranty on electronic devices is void if identifying mark is removed or has sign of tampering. Looking for used car parts?. We have lots of spare parts listed, and about 500 000 spares in the warehouse! Warranty on electronic devices is void if identifying mark is removed or has sign of tampering. An item that has been previously used. Item will be sold as it is shown in the pictures. Looking for used car parts?. With a plethora of parts available on the shelf, we should have the part you require. Prices remain in force until we publish new prices on our website. Best of Rover Spares LTD. It represents the standard we aspire to achieve on goods marked as such. New and boxed. Genuine Rover part. Austin Montego Countryman from V571685. Front LH wing rubbing strip, black/black insert, to fit the following vehicle range. MG Zs 01-05. MG ZS '01 -'05. Rover 45 RT '00 -'05. You are buying a used fender here. Part Number / Manufacturer / color / design The product is functionally tested. Suitable for EAN Nicht zutreffend. MG Zs 01-05. MG ZS '01 -'05. Rover 45 RT '00 -'05. Here you buy a used fender left. Suitable for. PLastic Bumper & Trim Side Moulding Clip - Car Bodywork Retaining Pin Clip x10. RANGE ROVER EVOQUE 2013-18 PASSENGER SIDE LEFT WING. P/N: BJ32-16006-AG. Body panels and other vehicle body parts are used and will have normal tear and wear. We do not decode them prior to sale. All Parts are used and may have hidden faults. We do not cover any garage fees, or any other expenses caused if the item appears to be faulty. REMOVED FROM A 2007 RANGE ROVER 3.6 TDV8 VOGUE. Part Number : ACD2820. ROVER 75 Models.